I have been studying markets and indicators for 18 years, for safer investing, trading, and for methods where risk could be managed better. I am heavily into EURUSD trading studies and correlation/hedging studies for few specific markets including riskless arbitrage. in the usual 'EURUSD' format, with no prefix and suffix symbols, it will work. Added topic What is the best way to make an EA or Indicator compatible with different brokers, where market symbols are different? 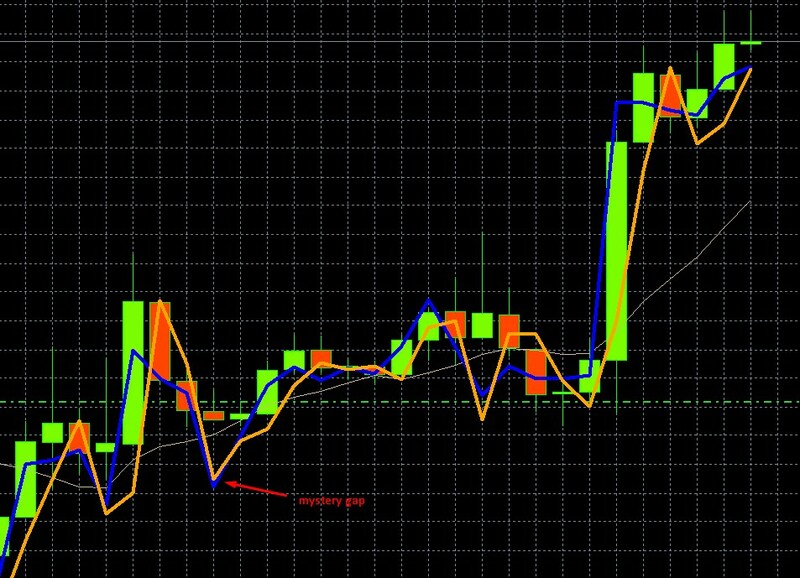 This version works on 1H chart, it's missing longer term outlook, but buyers will get signals from ALL 3 arb indicators! Minimum account size: $3,000 - ask me for advice! accidental discovery on hidden gaps, now the question is can an EA be made to detect gap related movements and trade them? any gap trading experts out there? My new indicator (actually an 1 year old function used in experimental EAs), to time entries/exits and assess entry risk, when plotted it turns out to produce gaps which the market tends to fill, including some weird, out of symmetry gaps, a possible divergence warning between EURUSD and the 4 related pairs. I am not sure at this stage, a meaningless divergence, or a divergence which will be followed by opposite convergecnce? either way, timing is almost impossible, however as and when these gaps are filled, we know where the market will stop. I never thought about it, and I don't use gaps in my EAs. trade risk is indicated by the orange line, when the orange line is above the open selling is prohibited, when it's below the open buying is prohibited, and it has worked well in experimental EAs. when in conflict, the longer time frame prevails, it worked very well on the 4 hour chart. As of Friday, a difficult reversal day, it suggested a bearish day, but a strong buy on the weekly chart, the market rallied sharply. all in all the 4 hour chart is the best for an EA to work on this risk warning function. THIS IS FOR TRADERSWAY BROKER clients ONLY! Why waste time not knowing when to get out of a trade, or why risk entering the wrong trade? The EURUSD risk warning indicator tells you when to get out, but also when to get into a trade and when to consider just long or just short trades. 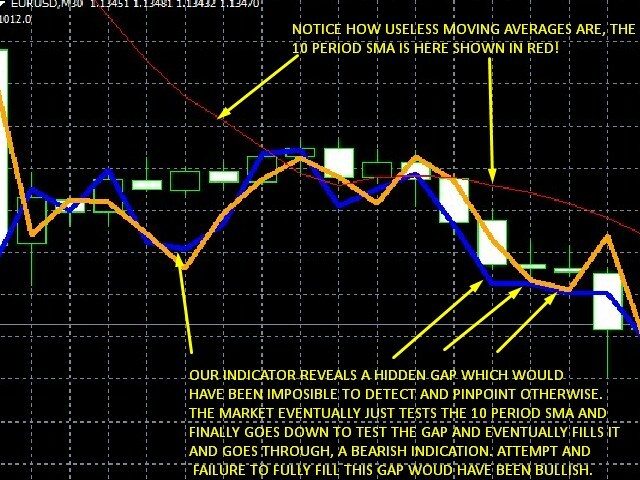 It also reveals hidden gaps, where EURUSD will be attracted to, never place stops in the path of recent hidden gaps and you will be way ahead of other traders! Added topic Best way to protect MQL4 Files? Added topic Wave Trend Oscillator Formula? Added topic for loops don't work in EAs what am I missing?